If you think that holiday means spending time surrounded by nature, relaxing and taking care of yourself, we have the perfect proposal for you: spend your green holiday on Lake Garda. Last summer, Espresso Communication carried out a research which demonstrated that about 50% of Italians would like to spend their holiday far away from metropolis, as they prefer the contact with nature and sustainability. We totally agree with this idea and we think that a green holiday on Lake Garda is a great way to find youself and to connect yourself with everything around you. It’s a sort of way back to the origins which is also an opportunity to reduce our negative impact on the environment. Here at Camping delle Rose, it isn’t difficult to find green areas where you can play sports or just relax: our camping is completely surrounded by nature. It’s possible to dive both into the saltwater swimming pool and the lake or to lay down on our beach, but you can also explore the lake with the stand up paddle boards or play sport in our equipped area. Your green holiday on Lake Garda can continue outside the camping. In fact, the lake is surrounded by many cycle paths which allow you to move without using the car. 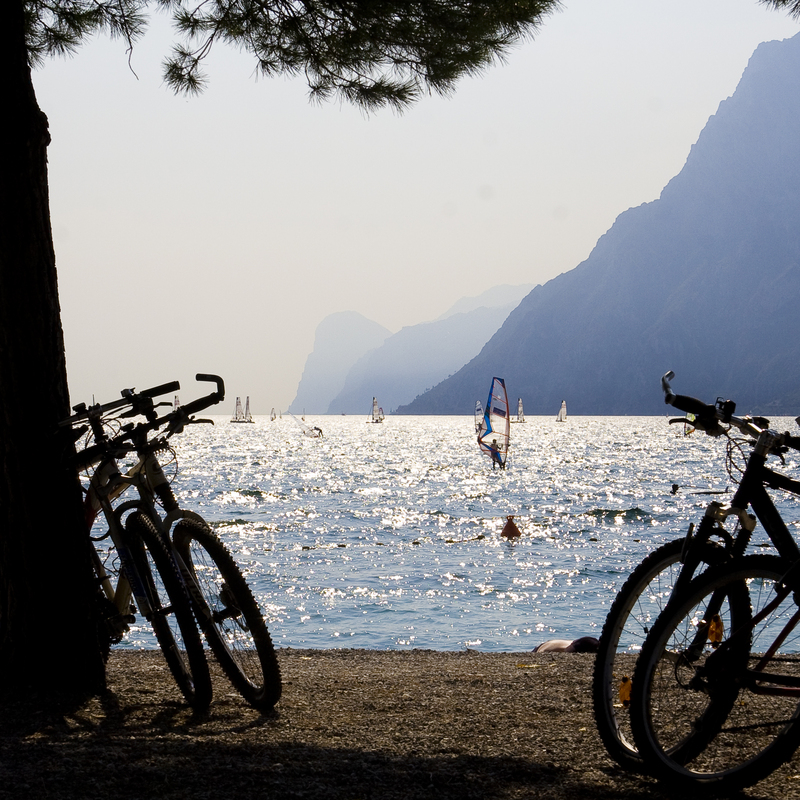 Last year, a project to make Lake Garda completely cycle started: the first stretch of Garda by Bike, connecting Limone del Garda with the province of Trento, was inaugurated on 14th July 2018. Another advantage of moving by bike is the beautiful view, which is certainly better than the one you can enjoy through the window of your car. Renting a bike in this area is very easy and cheap and the possibility to avoid a travel by car, the parking and the traffic is a cure-all to the stress of the year. Moreover, don’t forget that biking is good for your health! 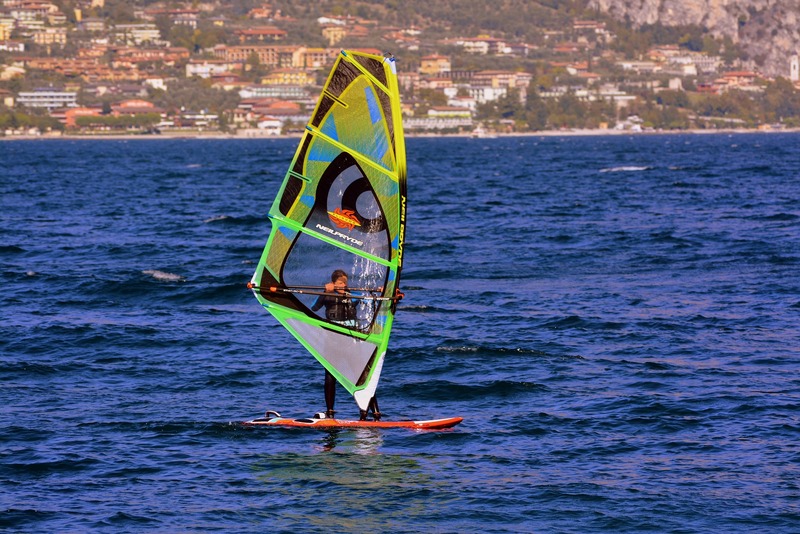 For sport and adrenaline lovers, a windsurf board or a sailing boat are the best ways to enjoy the view of the lake. In fact, both tourists and local inhabitants practice these activities and many other aquatic sports all the year round. Besides sailing, windsurf, kitesurf and rowing, it’s possible and highly suggested to practice activities outside water but just as much fascinating, such as paragliding and climbing. Green holiday especially means low impact on the environment and Lake Garda offers endless possibilities to have fun, eat well and spend your holiday without weighing on Lake Garda ecosystem. Some towns offer the possibility to promote positive behaviours through the activation of a Garda Green Card which allows for the accumulation of points by using sustainable services, such as bike rental, local restaurants, electric vehicle charging stations, but also events and theme parks in the area. These points can be used to obtain discounts and advantages with the interesting possibility to check your real contribution to the respect of the environment. Our Camping delle Rose offers a wide choice of accommodations, all surrounded by nature: bungalows, mobile-homes, chalet or pitches for tents. Moreover, the new Lodge at Lake and Suite Superior allow you to enjoy the lake view from an innovative and design place. Check the availability of Camping delle Rose on our website and don’t hesitate to contact us for further information! Camping delle Rose offers a wide choice of different Bungalows with direct view on Lake Garda, in order to live the perfect holiday in total relax. If you’d like to gift yourself an holiday away from the everyday life and surrounded by nature, Camping delle Rose is the right choice for you. 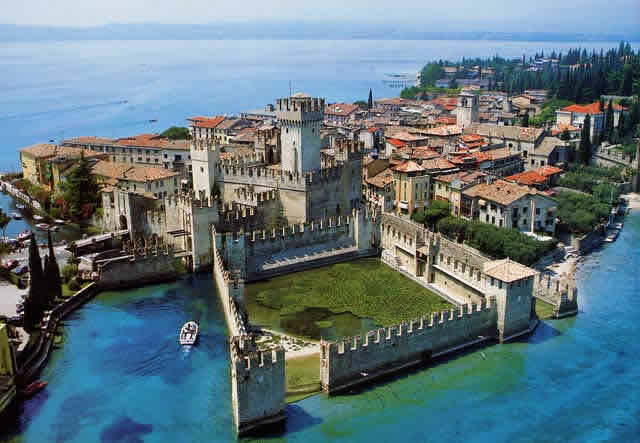 It’s located on Lake Garda, not far away from Moniga del Garda. Camping delle Rose will also give you the chance to discover some of the most beautiful Lake Garda’s cities, such as Desenzano del Garda or Sirmione. Our camping overlooks the lake and offers different kind of bungalows and mobile homes, together with a saltwater swimming pool. You will also find a playground and a lot of other services to live a completely comfortable and relaxing stay. 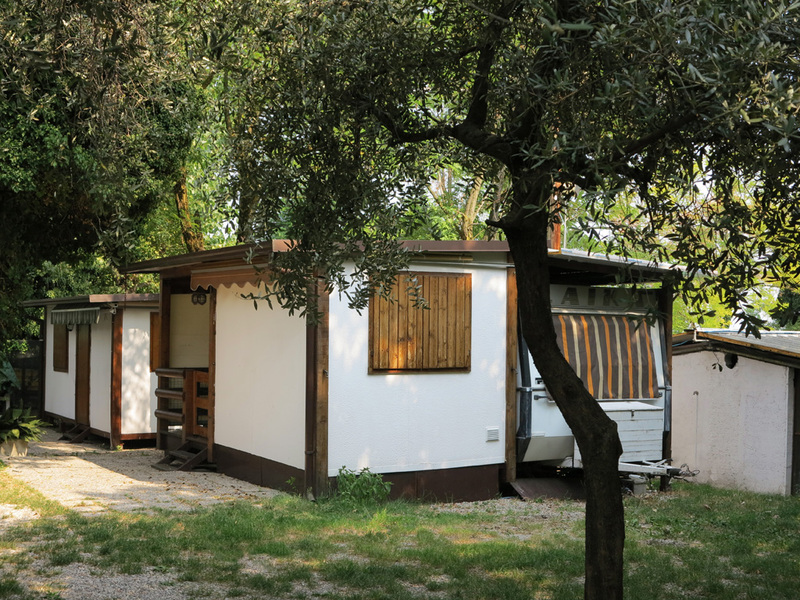 Camping delle Rose has many kinds of bungalows at Lake Garda, all with two or more double bedrooms. This type of accommodation can lodge up to 4 guests. This is all you need for a peaceful holiday with your family, or to spend awesome moments with your friends! Our bungalows on Lake Garda are perfect for accomodating families who want to spend their holiday doing sport or just relaxing, without missing the home comforts. That’s the reason why very our bungalow comes with a practical kitchenette, a TV and a bathroom with WC and bidet. Aside from our practical and comfortable bungalows, Camping delle Rose can offer a wide choice of accomodations on lake Garda to meet every guest’s need. You’ll live the experience you always dreamed of. For an exclusive stay, it would be impossible not to mention our new Lodge at Lake Garda. This kind of accommodation represent a great opportunity to relax enjoying a wonderful view, with all the comforts that our Lodge has to offer. Here you’ll find an outdoor veranda perfect for those who love being surrounded by nature, and air conditioning system in order to give you the relief you need during hot summer days. Last but not least, a free Wi-Fi connection. But news doesn’t end here. 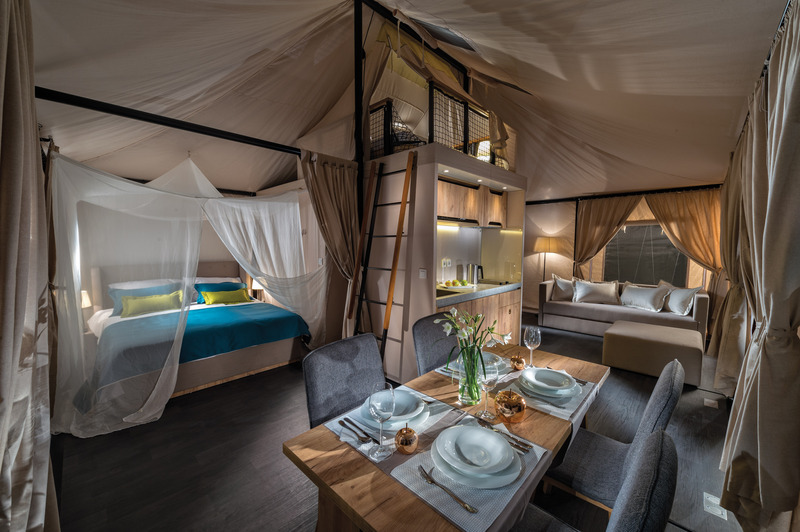 In fact, Camping delle Rose from this season proposes the new Luxury Mobile Home, which offers the comfort you need just two steps away from Lake Garda. This type of lodging can accomodate up to 5 guests, thanks to two double bedrooms and a single sofa bed. Our camping offers various kind of accommodations with the most modern comforts and some of them with direct lake view too. For example, among others we offer the mobile homes Confort, the mobile homes Suit Superior and, lastly, the Chalets. We can satisfy every single need. If we didn’t convince you yet, you will also find a saltwater swimming pool, which will give you the chance to take a swim or lay down under the sun in total relax. Give also a try to the typical italian food offered by the restaurant “La Rosa”, located inside the camping. Camping delle Rose, full of green spaces and just two steps away from a wonderful beach, and its staff, it’s waiting for you. The moment to live a holiday like any other at Lake Garda has come! 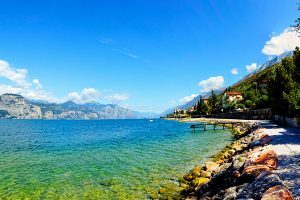 The beautiful season on Lake Garda has finally come with Easter: Spring has arrived and the lake is only waiting for flowers to blossom and to be filled with colours. Days are longer and warmed by the Spring sun. Let’s make a stop on one of these beautiful lakeside towns! For the perfect Easter, choosing a front Lake restaurant is an unmissable occasion: here you will find a wide choice of Easter Menù, with traditional dishes and desserts. You can taste the traditional Colomba made in Verona or the Brasadela: a baked bun made with Garda’s oil. Among the different events organized for Easter 2018 on Lake Garda, you can attend the event dedicated to chocolate. “ChocoMusic Music for the palate!” arrives in Riva del Garda, from March 30th to April 2nd 2018. Four days of show cooking, chocolate tastings, workshops for children and many surprises to discover have been planned for the V edition. For the occasion, master chocolatiers will come from different parts of Italy with their chocolate works. 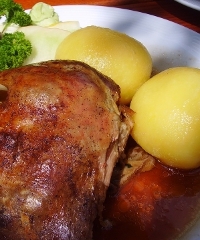 In Tremosine, like every year, the “S-ciapì” feast will be held on Easter afternoon. A competition, with eggs as protagonist, which celebrate an old popular tradition, where adults and children can enjoy their time all together. The competition will be accompanied by music, dessers, wine and stalls. To celebrate Easter 2018 on Lake Garda, we suggest you the 46th Edition of Arcense Musical Easter, an important musical event held in Arco (TN), from March 29th to April 2nd. It’s a musical manifestation, with important european and young local musicists. A classical repertory, between sacred and profane, which involves the most prestigious and majestic buildings of Arco. Some of these are the Collegiata and evangelic of S.S. Trinity Churches, the feast saloon of the Municipal Casino, the Sanctuary of Madonna delle Grazie, the Church of Madonna Addolorata in Bolognano, and for the first time, the Sanctuary of Madonna di Laghel. The Arcense Musical Easter is an important event, which attracts a big audicence since years. The Museum of Riva del Garda inaugurates the project “War and Peace | 1918-2018”, created by MAG for the 100th anniversary of the end of the First World War, from March 16th, in Riva del Garda. “No War No Peace” and “Kriegsmaler. The Stolz brothers, painters from the battlefront of Riva del Garda” are two projects organized to help people reflect on history. In the first project, you can find photographic reportages, historical videos, interviews and in-depth material. The second project consists of a paintings cycle about the everyday life of soldiers during the First World War. A unique occasion for a socio-cultural lesson about themes of the past, but always actual. You can’t miss the strolls in the old towns, where you can go by foot, with boats or bikes, thanks to the presence of bicycle lanes. Sirmione, Desenzano, Riva del Garda and Peschiera, and also less tourist but beautiful destinations like Malcesine area. 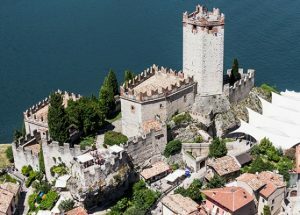 Among all the different locations, on Easter 2018 on Lake Garda you can enjoy the good weather to spend pleasant moments visiting the most known monuments: Vittoriale degli Italiani, open during Easter holidays, Peschiera del Garda Fortress, Lonato del Garda’s Castle, or the beautiful Scaligero Castle in Torri del Benaco. You can also visit the great number of churches of the area, full of history and frescos. 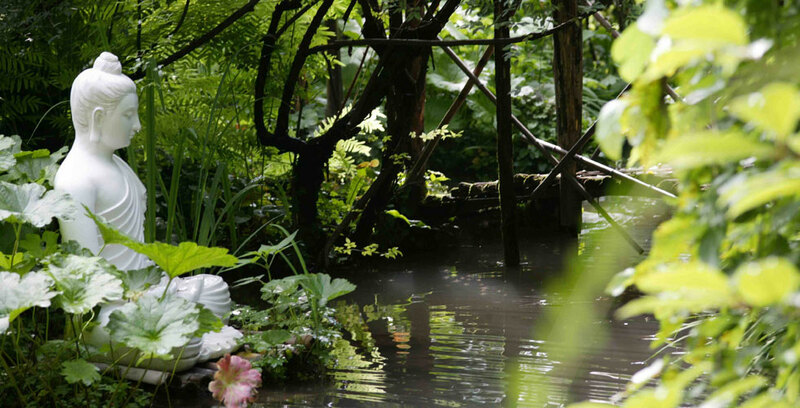 In Gardone Riviera, you can visit the wonderful botanic garden Hruska, a 10.000 square meters area of nymphs, flowers and plants from all the different continents. The Caves of Catullus, in Sirmione, are an archaeological site you can reach with the local little train or with a stroll. These caves are the evidence of the most important Roman villa in the whole area of Northern Italy. Surrounded by the Lake, you can enjoy a breathtaking view from the caves. Easter holidays are the perfect time for trips, strolls, picnics and open-air activities. For those who like to do sport, Easter 2018 on Lake Garda presents the 35th Meeting of Garda Optimist, organized by Fraglia Vela Riva, dedicated to sailors of different ages. The event will take place from March 29th to April 1st, in Riva del Garda. Spring opens the doors to kitesurfing and windsurfing, the ideal sports to practice on the splendid waters of the “german’s sea”, especially during this season. Spring has come and Natura Viva Zoo Safari Park in Bussolengo (VR) opens to his visitors, organizing races and games with the animals. The perfect day to spend with the family, especially during Easter, when snacks for the animals of the Park and environmental enrichment on the theme of Easter are organized. Natura Viva Zoo Safari Park is a wide zoo, with the “fauna” and “safari” sectors, divided in specific areas for the respect of the different species. The Park offers an adventure through the paths to the discovery of the animal species from all over the world, to watch them in their own habitat. Why don’t you spend your Easter 2018 on Lake Garda in one of the theme and amusement park available? 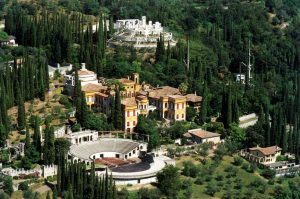 In this period Gardaland, The Observatory Park in Tignale, Varone’s Waterfalls and Sigurtà Garden Park reopen for their visitors. In addition to this, the locations on Lake Garda offer a wide range of open spaces, with long bicycle lanes and wonderful hiking trails. 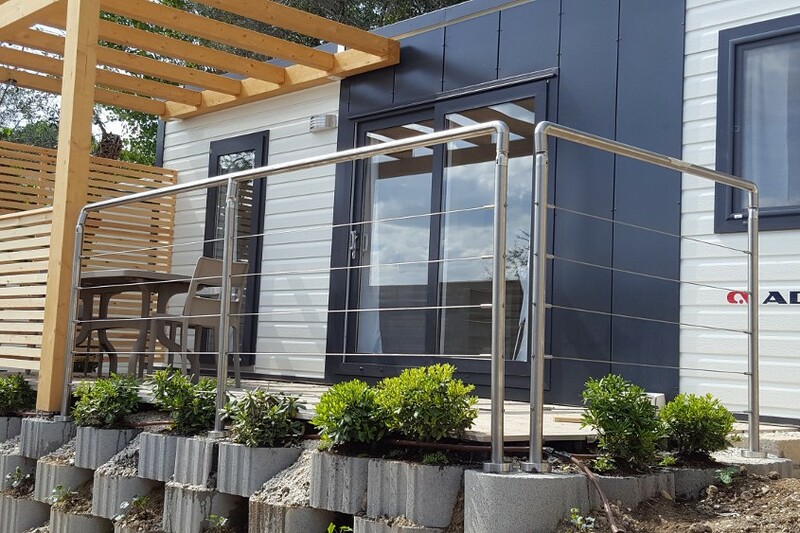 For Easter 2018 on Lake Garda, Camping delle Rose presents the new mobile homes, where you can spend your weekend in the Spring landscape of Lake Garda, in Moniga del Garda. So, visit our website to discover Luxury Mobile-Homes and Lodge at Lake, for your escape from the city. Moreover, Camping delle Rose offers pitches for those who prefer to travel with a caravan. Camping delle Rose is pleased to present you the new front Lake Garda bungalows, the new accommodations for the Season 2018. Camping delle Rose is located on Lake Garda, less then 1 km from the center of Moniga del Garda. A short distance away you can find the cities of Desenzano del Garda, Sirmione and his Catullus’s thermal bath, where you can enjoy a full day of total relax. The Lodge and the Luxury Mobile Home are a new type of front lake bungalows, which will make your stay more relaxing and exclusive. A few meters from the Lake, the front Lake Garda Lodge has two double bedrooms, a double bed that you will find in the loft, a sofa bed in the living room, and a private bathroom. The perfect solution for families or groups of 8 guests. In the living room, you will also find a modern induction cooker hob. The presence of an outdoor veranda will allow you to enjoy the beautiful and breathtaking view on Lake Garda. Among all the different comforts that this new type of bungalow offers, there is a vault, where you can keep all your valuables. The air conditioning system will refresh your hot summer days, while the free Wi-Fi will allow you to be always connected with your laptops or smartphones. The great news is represented by the structure of this new front lake bungalow: a modern and wide tent. In this way, you can enjoy your stay totally surrounded by nature, with all the comforts and the luxury that the Lodge will offer you. Camping delle Rose introduces another type of front lake bungalow for season 2018: the Luxury Mobile Home. Always a very few meters from Lake Garda, this new type of mobile home is the perfect solution for families or groups of five guests. This new front lake Garda bungalow has two double bedrooms and a single sofa bed in the living room. It also has two private bathrooms, provided with a shower and a bidet. The bathrooms are also provided with an hairdryer. 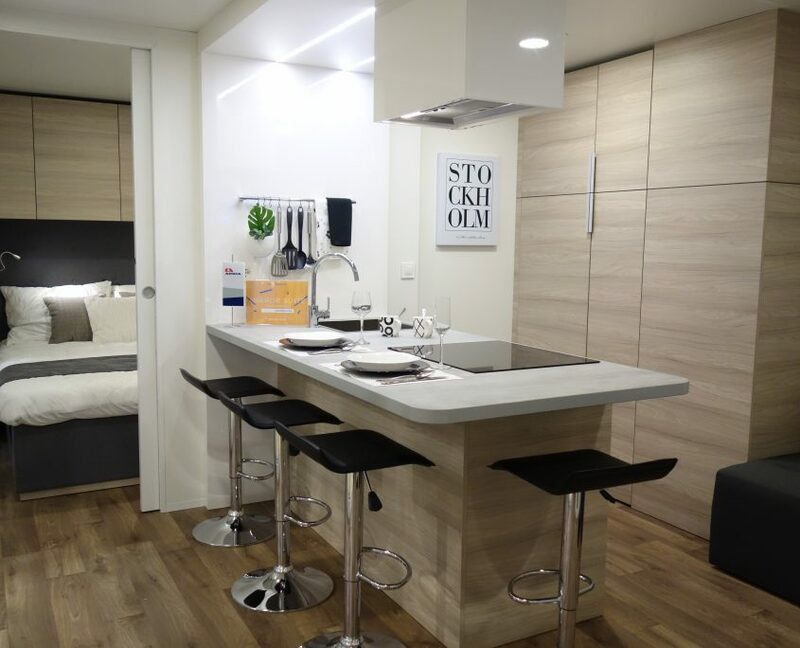 In addition to the basic comforts that the front lake mobile home offers, such as free Wi-Fi, the vault where you can keep your valuables and the air conditioning system to freshen during the Summer season, the Luxury Mobile Home is provided with a dishwasher, that you can find in the modern kitchen. So you won’t have to waste time washing dishes! The structure also has a cable radio system, so you can listen to your favourite music during your moments of total rest. An outdoor veranda overlooks the lake, ensuring a beautiful panorama over Lake Garda. 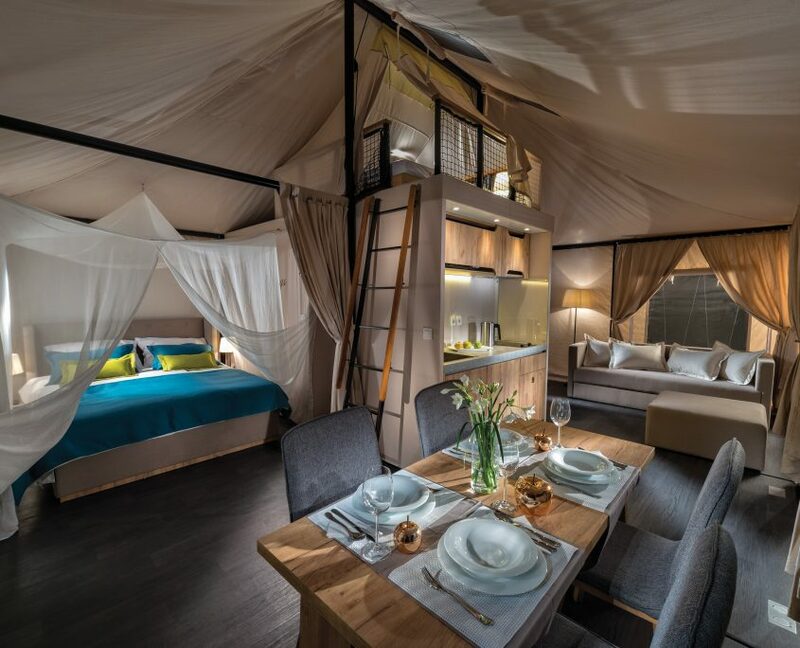 The Luxury Mobile Home will allow you to relax surrounded by nature, enjoying at the same time the luxury that the mobile home offers to his guests. Camping delle Rose offers everything you need for the perfect holiday! Camping delle Rose offers many other types of front lake Garda bungalows to his guests, to better satisfy their special needs, such as the Suite Superior Mobile Homes, the Confort Mobile Homes, the Chalet, the bungalows and the pithces. 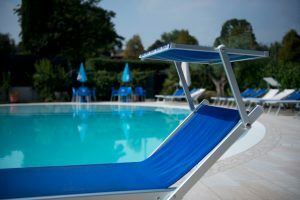 The structure also offers a salt water swimming pool, a multi-purpose sports field, a restaurant with a bar and a few steps from the Camping you will find a beautiful beach, to enjoy to the best your perfect holiday on Lake Garda! Have we convinced you? If so, contact us to check the availability in our Camping delle Rose and book your accommodation. The staff is always ready to meet the different needs of our customers. We are at your disposal for any further information or questions. We hope to see you soon in our camping to spend an unforgettable holiday on Lake Garda! It’s time to turn on Christmas lights! 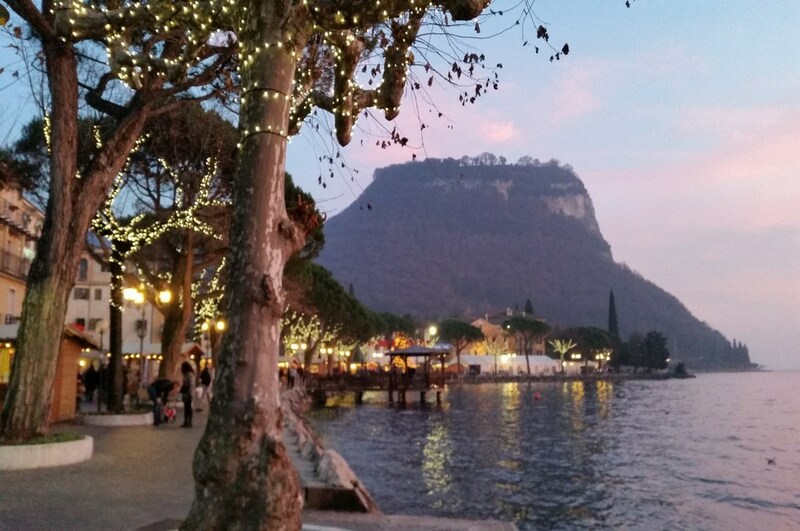 During winter season, towns overlooking Lake Garda are filled of new colors and they present a unique show to their lovers. Get ready to immerse yourself in the magic of Christmas 2017! Markets, nativity scenes and concerts are just some of the events that taking place in the picturesque towns of Lake Garda. During the Christmas holidays, young and old people can have fun in the historic centers or take a walk along the lake, through suggestive atmospheres and local products. Let’s find out together the most famous events during 2017 Christmas time on Lake Garda. With Christmas coming, Bardolino turns into an enchanting Christmas village ready to delight tourists! First of all, on the eastern shores of Lake Garda, Dal Sei al Sei will take place. It’s an exhibition that offers activities of all kinds, for the entire Christmas period. You can visit San Severo’s church, which becomes the stage for cribs from all over the world; or skate on a 200-square-meter ice rink. The Kids Area is ready to entertain the little ones with workshops and animation, everyone can take a souvenir photo with the 7-meter tree, covered with a cascade of blue lights. To start the new year in joy, you cannot miss the traditional New Year’s dip in the icy waters of Lake Garda! Who said that only pine trees are decorated for Christmas? In Garda, the olive trees, which are the tree par excellence of this area, are also featured during the Christmas holidays! 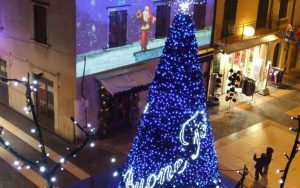 The “Christmas among the Olives” initiative has reached its nineteenth edition, as every year the city of Garda is ready to welcome in its streets all those who want to spend the days of celebration on Lake Garda. A Flavours Pavilion set up in the Town Hall Square offers local and foreign gastronomic specialties, in Piazza Catullo the Christmas Market houses embellish the landscape of Palazzo dei Capitani with lights and colors. The event will end on January 6th with the famous Bruiel of the Epiphany, the bonfire of the Befana. You can have a look at the advertising poster to have a detail overview of all the events of Christmas 2017. Among the famous locations of Lake Garda, Malcesine is one of the most popular. Its panoramic views are famous all over the world, so much that a special guest has chosen this place to spend his holidays: Santa Claus! From December 8th, the Scaligero Castle will host Santa Claus and his helpers, with a calendar full of events. From December 6th, every weekend and during the holidays, the halls of the Castle will host many shows, dedicated especially to children. Christmas 2017 also continues through the streets of Malcesine, with photographic exhibitions, skating rinks and rides, which will transform the town into a real amusement park. And to make the atmosphere of these days even more magical, the panoramic cableway offers an unforgettable visual spectacle. 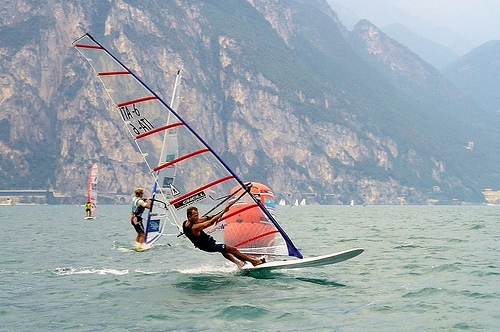 Lake Garda is also perfect for more sporty tourists! 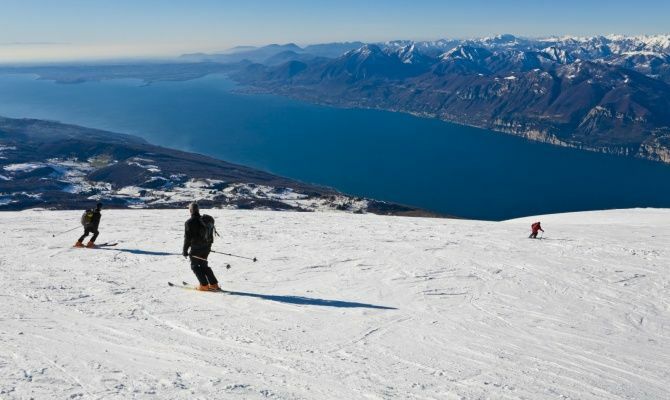 If you want to move from the lake area, Monte Baldo offers you a day for winter sports. Reachable by the panoramic cableway of Malcesine, the mountain is a natural terrace from which you can see the lake, the Alpine peaks and the Pianura Padana. For those who want to learn how to ski, there is a ski school with equipped slopes and qualified instructors, while the most experienced skiers can ski along the most famous ski slope, the Prà Alpesina. Do not forget the opportunity to enjoy the surrounding scenery! There are many paths, also possible for those who want to try for the first time the snowshoe walk. 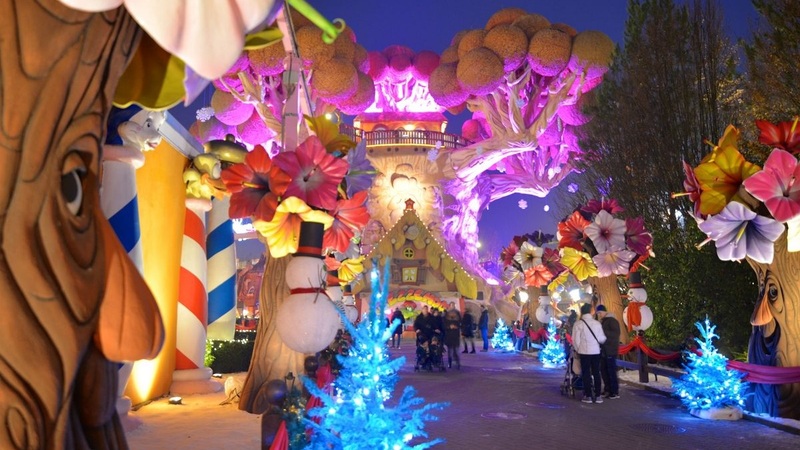 The most famous amusement park in Italy wears lights, decorations and turns into a real Christmas village. A few kilometers from Lake Garda, Prezzemolo is ready to welcome your family into the Gardaland Magic Winter! Let yourself be enchanted by shows, Christmas melodies and adventurous attractions. Do not miss the opportunity to rediscover the charm of being children: you can feel like being on high mountains, you can make a puppet or start a snowball fight. For Christmas 2017, the password of Gardaland is “fun”! After Christmas, it’s time to think about the New Year celebrations. Can you imagine the fireworks that are reflected on the water of the lake? 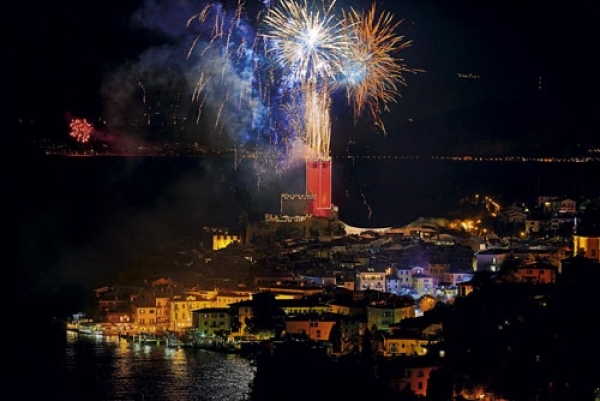 For the new year all the locations of Lake Garda are preparing to entertain visitors with many events! There will be concerts and dj live sessions, menus and dinners in the most famous restaurants, in order to spend the most beautiful night of the year full of fun and entertainment. Camping delle Rose bungalows and mobile homes in Moniga del Garda will be happy to host you during the Christmas period! Until Epiphany, you can spend a holiday at our campsite and participate in all the events of Lake Garda. Visit our website to check availability, book one of our Mobile-Momes or Bungalows on Lake Garda! February and March 2018 on Lake Garda: events you shouldn’t miss! Christmas holidays are over, but for February and March 2018 on Lake Garda there are many proposals for entertainment activities. Locations on Lake Garda have new proposals and lots of entertainment activities. We propose you the most interesting events of February and March 2018 on Lake Garda, waiting for Spring! Carnival: The Lake is dressed up! For the most gaudy period of the year, between February and March 2018 on Lake Garda villages are coloured with masks, fancy dress, fun and a lot of joy, proposing events and parades of traditional wagons in every locations of Lake Garda: from Bardolino, Lazise, Bussolengo, Peschiera del Garda to Verona, where the Carnival, also called “bacanal de gnoco”, will culminate on Friday 9 February, with masked parade that will unthread through streets of the city center, from 1.45 PM. 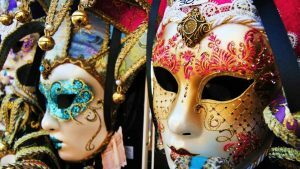 The celebrations of the Carnival will continue to Village of Carnival “Mascheraverona”, in Piazza San Zeno, from 8 to 11 February, to celebrate the Carnival up to evening. For the occasion, gastronomic stands are built with live music, such as September Groove, Karaoke and a Nomadi’s cover event. Finally, an election of the best mask of the year, will take place there, divided into adult and child category. Otherwise, on Thursday 13th February , the “Masked Ball” will take place, for the last day of Carnival. On February, on Valentine’s Day, Lake Garda proposes a new event: “Lake Garda in Love”, in four locations of Lake Garda: Lazise, Bardolino, Garda and Torri del Benaco. From September 10th to 11th , Lake Garda in Love will frame these locations with lights, stalls, gastronomic stands and much more! Into the area of Bussolengo, one of the most famous fair appointments of the Country is back: the 307^ Fair for Valentine’s Day of Bussolengo. From 10th to 14th February, in this location there will be an exposition about agricultural equipment and a variety of products that can be found in nurseries, car dealerships, agri-food products and much more. For the little ones, a Luna Park has been set up in Vittorio Veneto square. Moreover, in Via Mazzini e Via Borghetto there will be a street market of thousand temptations, with exposure and sale of high quality products and gift ideas, to celebrate lovers’ feast. Finally, in 26 Aprile square, you could taste many gastronomic proposal of street food area. Another event of February and March 2018 on Lake Garda is the 11^ edition of Giulietta&Romeo Half Marathon, in Verona. 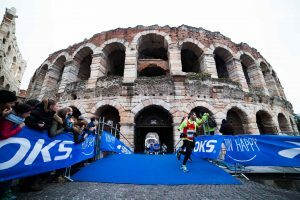 The city organizes, in Azzurri d’Italia square, one of the most important running races in the Country, which this year offers a very special innovation: Monument Run, a non-competitive 5 km race in the heart of Verona between 5 historical and artistical monuments. Castelvecchio, the ancient fortress of the city, Porta Borsari, the main entrance to the city in imperial times, Piazza Erbe, the oldest square and finally a triumphal passage inside the Arena. The arrival is sit in Piazza Bra. For information about registration, timetables and costs, visit the official page of the event. For more specific tastes, the main locations of Garda have opened a review dedicated to the Garda DOP oil: Valtenesi with taste 2018. Between February and March 2018 on Lake Garda will take place the 13^ edition of the gastronomic review that supports the work of the best producers of Garda DOP oil, in full respect of the PDO regulations. Every year, nine restaurants offer a special menu dedicated to the event, in order to celebrate the certified Garda oil. The menus offer Garda DOP oil in combination with fish and wines from the Valtenesi and Lugana territories. This event brings together producers, restaurants and flavour lovers of Lake Garda. 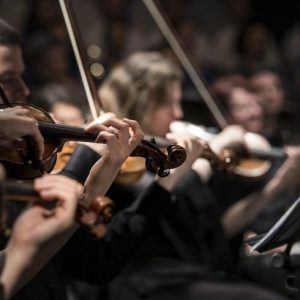 This is a great occasion that combine fun and musical notes of good quality Between February and March 2018 on Lake Garda “Aperitivi musicali” will be continued, in Castelnuovo del Garda, for its 11th edition. All concerts will take place at the DIM Teatro Comunale of Castelnuovo del Garda, from 5.30 PM: February 11th, the Quartetto EoS will perform in an exhibition that offers a classic repertoire with variations of modern music, light and jazz. While on February 25th the Windkraft Ensemble Trio will perform a contemporary music show. 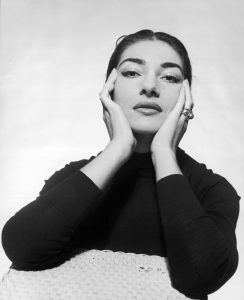 Forty years after her premature passing, Terme di Sirmione dedicates a permanent exhibition to the divine Opera singer Maria Callas. Costumes, stage jewels and clothes will be exposed at Aquaria, the Thermal Spa of Terme di Sirmione, in the historical center of Sirmione. 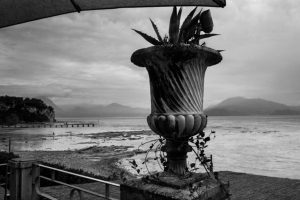 Besides products of Terme di Sirmione, you will find Callas’s rare photos and letters, available in a relaxing lounge area for all the customers of the bar and the Thermal Spa. A fantastic idea to spend a relaxing day in a place that shines with the light of its most famous lover: Maria Callas. For photography lovers, between February and March 2018 on Lake Garda, waiting for them there will be exhibitions, competitions and set-ups about it. In Sirmione, Magnum Photo exhibits Paolo Pellegrin‘s photographic work, dedicated to Antarctica and Sirmione, on show at Palazzo Callas Exhibitions. Defined “beautiful and otherworldly”, his photos have also been published by TIME magazine. 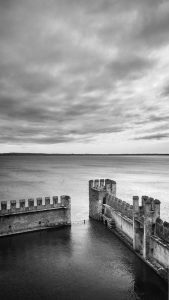 The exhibition is accompanied by meetings dedicated to the “With Magnum” agency, there are more than 100 photographs, which show the landscape of Italy and Sirmione, photos specifically made by Paolo Pellegrin. The photographic collection is presented as an intense story, told through images, for create emotion and surprise in all visitors. Finally, Riva del Garda hosts #altroGARDA, the annual review of the Photogram at the Riva Museum. A visual analysis of the landscape of Lake Garda, carried out for years by Museo Alto Garda (MAG). The MAG will inaugurate the exhibition on February 10th at 6.00 PM and will remain open until March 4th. The show exhibits more than 100 images, produced by 24 participants, focused on Garda locations: naturalistic and urban landscape, studies on living conditions linked to the city and a research of places now completely lost or forgotten. There is nothing like the fresh and fizzy air, between February and March 2018 on Lake Garda, to keep yourself fit outdoors, among natural beauties, breathtaking landscapes and the first days in which to ride bike between the villages on lake. Before the end of Winter, the ski station of Monte Baldo continues its opening until April. It is reachable by the panoramic cableway of Malcesine. Monte Baldo offers a splendid natural terrace from which you can see the lake, the Alpine peaks and the Pianura Padana. Until February 26th you can take part in an excursion on snowshoes to discover Valle di Ledro. With the beautiful days of Spring on the way, it is also interesting the bicycle path along the locality of Garda. Pending completion of the new bicycle path, which completely circumscribes the lake, there are already many easily paths nearby the lake, among breathtaking landscapes. From Mantova, following Mincio river, you can cycle for 40kilometers between natural landscapes and beautiful medieval villages, such as Borghetto, to reach Peschiera del Garda. These bicycle paths are also ideal for short family trips and it’s easy to find shops that allow you to hire any kind of bike. 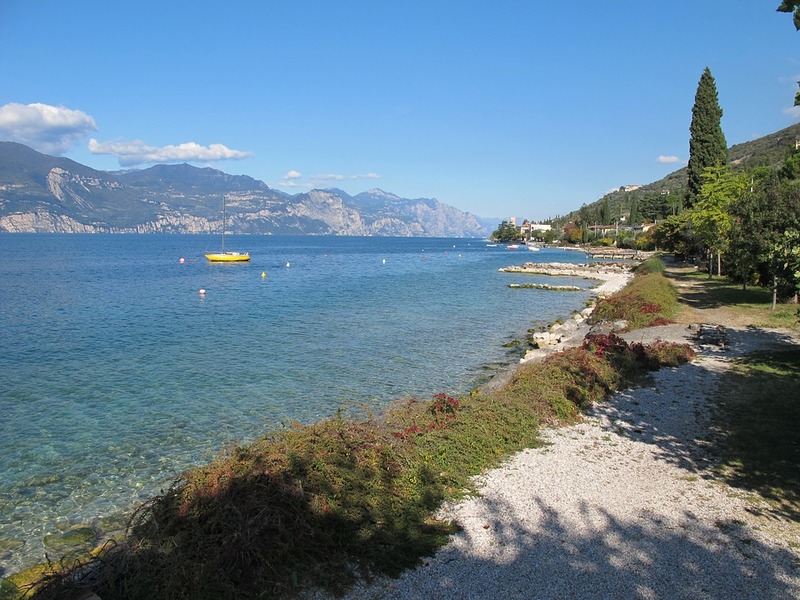 Spending your vacancy on Lake Garda: Camping delle Rose. The Camping of the Roses in Moniga del Garda will open on 30th March, 2018, but you can booking online by now for our Front lake Mobile-Homes and Bungalows on Lake Garda, so you can take advantage of the 5% discount! In the meantime, these are just some of the many events between February and March 2018 on Lake Garda, do not miss them! http://campeggiodellerose.com/wp-content/uploads/2018/02/immagineevidenzalagogarda.jpg 600 1314 Camping http://campeggiodellerose.com/wp-content/uploads/2016/02/logo-campeggio-admin.png Camping2018-02-07 16:22:442018-02-07 16:22:44February and March 2018 on Lake Garda: events you shouldn’t miss! The summer season is finishing. Someone rested more during holidays and others less, but is certain that returning to work and everyday life is always a bit traumatic for everyone. It would take some days to rest after holidays, or alternatively a gradual return. To not miss the rhythm of the holidays the ideal is to spend any weekend at lake. To help you find the entertainment activities we are reporting some of the events of September 2017 on Lake Garda. The events of September 2017 in Desenzano begin with the “Festa dell’Anitra“. A celebration to honor San Giovanni Battista, celebrated with games, shows and attractions from 1 to 3 September. Until a few decades ago, it was customary for Capolaterra families to expose on the days of the party outside the doors the paws and the beak of a duck tied with a red ribbon. Throughout the duration of the party via Garibaldi is adorned with flags and will also appear stalls of sweets, toys and balloons. Another break to take during the week is with ”La Notte Bianca” that will be held on Wednesday 13 September. It’s the perfect opportunity to shop at the markets, attend to concerts in the squares of Duomo, Malvezzi and Matteotti and in the streets of the center. This seems to be a good way to have fun even during a working day! In the square will also play music for you the Radio Vivafm. The summer in Desenzano is going to end with a special event : the “Boat Travel“. A boat day organized in synergy with two realities of the nautical sector of different regions that will meet up in a special bar in the middle of the lake for a Happy Hour. It will take place at Sunday September 17, departure at 10.00 and return at 17.00. 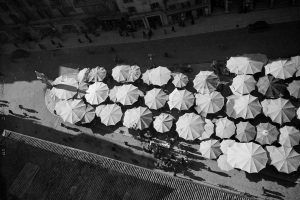 On September 30th in Malvezzi Square ” Un Mondo di Vintage ”. A market dedicated to Vintage products and to those who love the quality and the values of an used item, worn or produced at least twenty years ago by the present time. From 1 to 3 September, the event “1,2, Tlè” will bring to Bardolino dozens of artists from all over Italy. These will be three days dedicated to art from 10am to 23pm. Artists will expose their works in an open-air art gallery on the streets of the city. You can admire their works without commitment. At Cisano di Bardolino from 7 to 11 September 2017 returns la “Sagra dei Osei”. An ancient ornithological manifestation of Lake Garda. With the best of the local food and wine tradition, afternoon and evening shows, the best national whistlers that imitate the call of the bird’s. You can stroll through the market and dance in the rhythms of the best smooth orchestras. 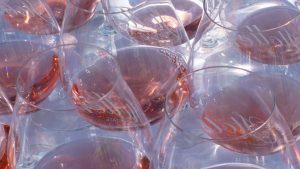 One of the events of September 2017 that draws more attention in Bardolino is the festival devoted to the precious Bardolino wine. One of the excellences of Verona’s wine world-recognized. 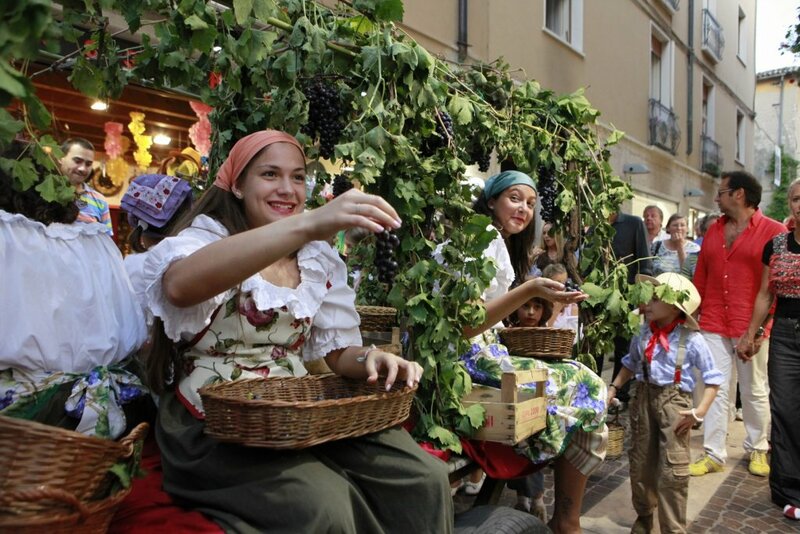 This year, the 88° Festa dell’Uva e del Vino Bardolino takes place from 28 September to 2 October on the lakefront of the town. It is a rooted tradition, born at the time of Podestà Luigi Torresani. Wear comfortable clothes and bring with you a small rug if you want to attend Bibliobenessere 2017 in Salò on Friday, September 8th. An event organized by the Library of Salò in collaboration with the Body Mind Center Association. 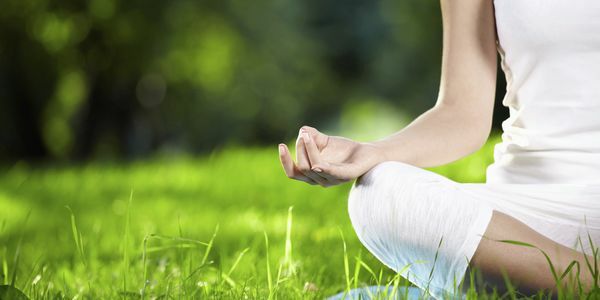 You will have the opportunity to do outdoor exercises relaxing your body and mind and also take free lessons of Yoga and Pilates. Bibliobenessere 2017 will take place at parco della Fondazione SIG (ex Croce Rossa) in Salò. 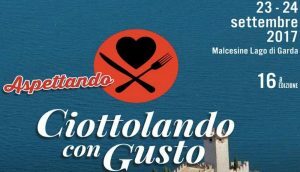 On September 23rd and 24th in Malcesine will take place “Ciottolando con Gusto 2017”. Every year it has a great success and each year “Ciottolando con Gusto” offers to all those who participate interesting surprises and beautiful novelties. Local dishes, music and a unique, relaxed, magical atmosphere to enjoy at its best the last nights of summer. This year, two food and wine courses will be offered to allow participants choosing the one they are most interested in: “Ciottolando Gourmet” e “Ciottolando Giardini dei Sapori”. It will also take place inside the castle which this year generously opened the door. There will be dishes at km0 proposed by restaurants and will also be rediscovered locally produced herbs, so from genuine Gourmet. To partecipate is very simple: with the ticket they’ll give you a map with the adherents places who propose dishes matching a wine of the area. 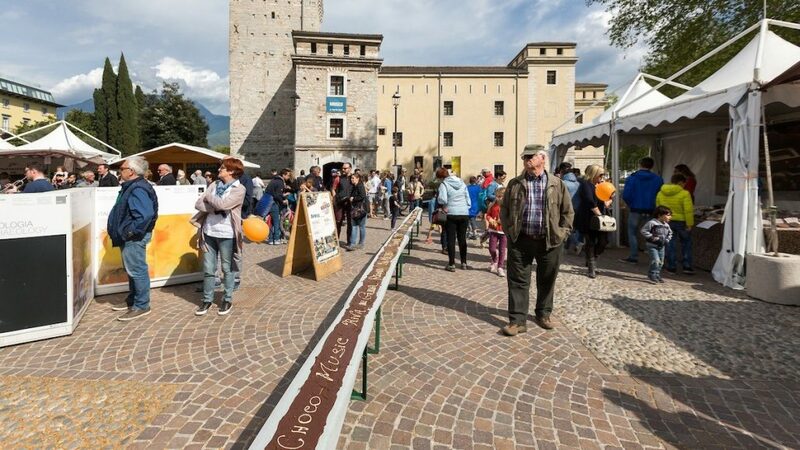 During the event you can visit for free the castle Castello Scaligero and visit Monte Baldo with the cableway at a reduced price. Parkings and tourist buses are free. The organizers have also thought of bringing street artists and musicians. 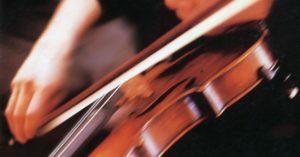 Music evenings are present in all seasons at Lago di Garda. Gardone Riviera organizes two musical evenings where you can dance and sing without limits. The first on September 2nd hosts all music lovers at The BeatBox – live concert to live the Beatbox music energy. Continuing with Vipers – Queen tribute on Thursday, September 7th. While staying at the Camping delle Rose in Moniga del Garda you will be just a few steps from the event that will take place on September 12, ‘Mini Endurance’ at the International Kart Indoor. You can challenge yourself in racing with other riders. They are planned 12 minutes of free practice and 1 hour of race. Is required a change of the driver every 30 minutes of the race. The participation is open to all but there is a limited number of places. So don’t miss the opportunity to spend the last days of sunshine participating in the events of September 2017 on Lake Garda. Are you planning on leaving for a vacation and you’re looking for a Camping for Children? Overlooking Lake Garda at 1km from Moniga del Garda you will find our Camping delle Rose, which from the 2017 season also thought for the entertainment of the youngest with many games. We offer different types of accommodation: from bungalows to mobile homes, from pitches to chalets. We have also a salt water pool, gardens, free Wi-Fi, a restaurant-pizzeria with a bar and a wonderful beach! You can choose the solution that best suits to your needs. The novelty of this season is the children area inside of the Camping delle Rose. 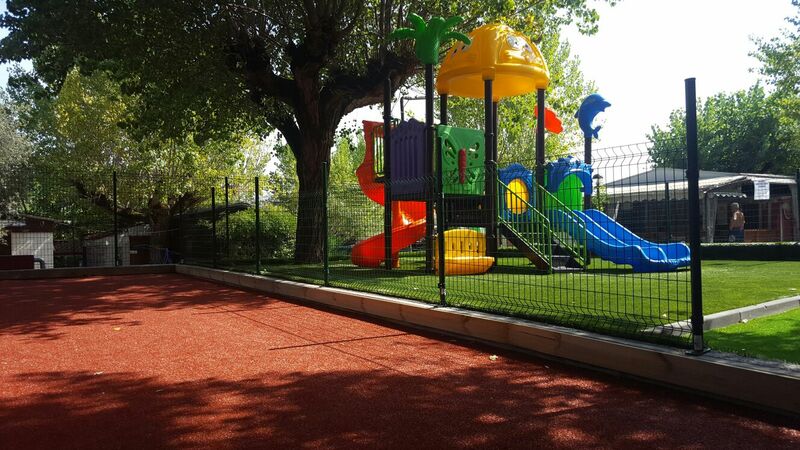 We have created a beautiful fenced-in playground where your childrens can play sliding, climbing and running in the meadow. 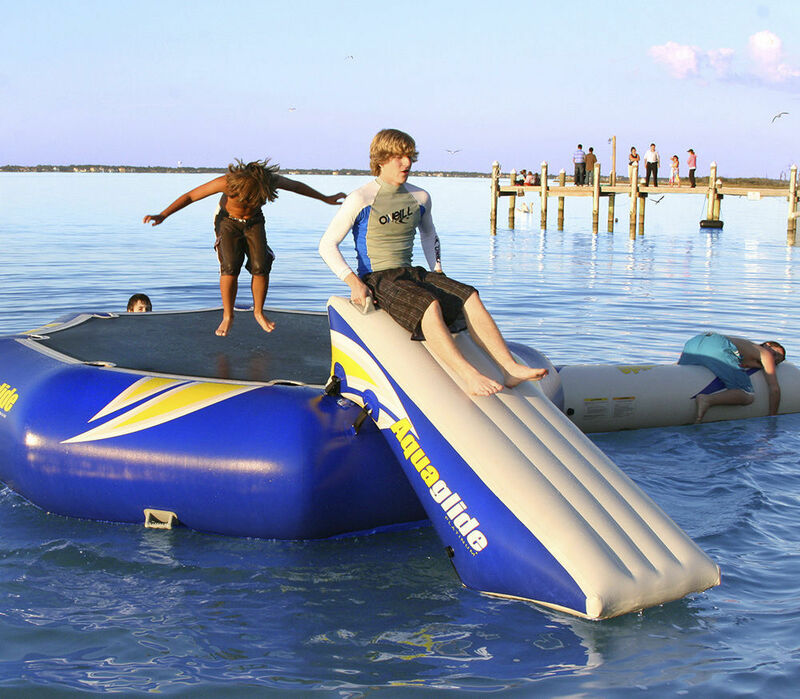 While your children have fun and make new friends you can enjoy the lake in tranquility and safety. The Camping delle Rose has also thought for those who like to spend time in the water, and brought up the SUP tables (Stand Up Paddle). This is a new sport discipline that is practiced on a table, similar to surf tables, but with a paddle. It allows you to have a more direct contact with water and gives a sense of absolute freedom. The SUP helps to maintain the physical balance by increasing muscles tone and relaxing your mind. It’s an easy sport that can be practiced by everyone. Being little moved, Lake Garda, is the ideal place to start practicing, starting to ride first on your knees and then on your feet. For those who love the lake and would never want to get out of the water, this year we have also introduced water games. While staying in the Camping delle Rose you will be just a few miles from some of Europe’s best known fun parks. Gardaland is the largest amusement park in Italy. 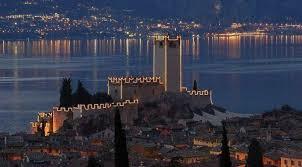 It is located in Ronchi in the municipality of Castelnuovo del Garda. The park offers over 35 attractions and rides for all tastes and suitable for all ages, divided into 8 theme areas immersed in the green that will make you spend a fun day out for the whole family. 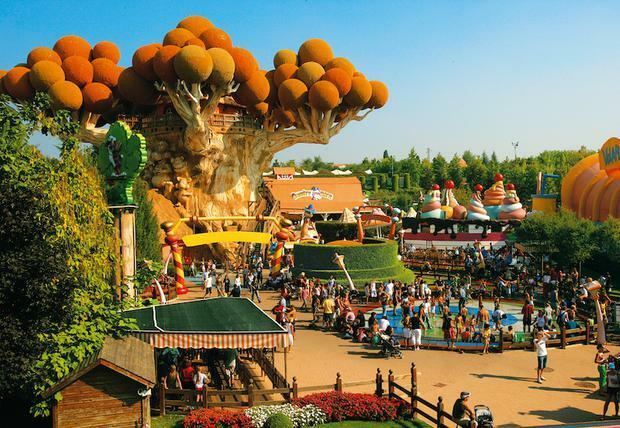 For children, they have created the areas Gardaland Fastasy Kingdom and Prezzemolo Land with dozens of attractions and rides available to smaller guests. 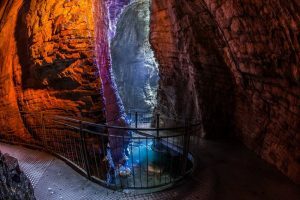 Of Gardaland’s dedicated family attractions, we highlight some of the most impressive that have scenic impacts: the impressive Atlantis Escape, the Jungle Splash Inflatable Trail, the Mammut Family Coaster, the Kung Fu Panda Master Spinning Coaster, the Egyptian temple of Ramses: Awakening and dark ride I Corsari. Thrill lovers should not miss this Gardaland attractions: Raptor, Space Vertigo, Blue Tornado and Oblivion, adrenaline roller coaster with vertical fall and others to be discovered. For the entertainment of adults and children, every day go on stage many shows in the park theaters featuring prominent artists and professional dancers from Gardaland’s staff. Not to be forgotten Gardaland Sea Life Aquarium which through the transparent submarine tunnel will make you excite by the wonderful encounters of all kinds of animals, from sharks swimming undisturbed right above your head to sea lions, scorpion fish, clown fish to starfish. 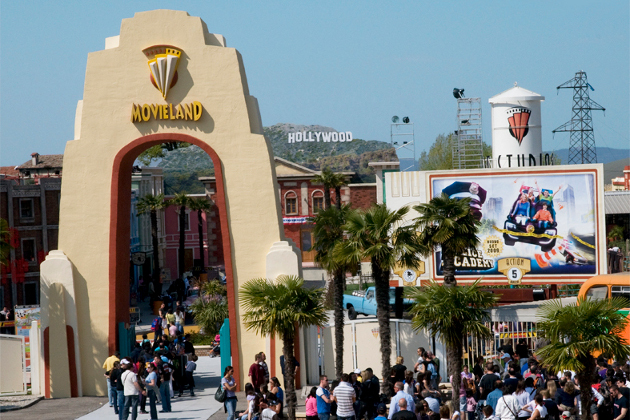 Canevaworld Resort is located in Lazise and includes two fantastic parks: Movieland The Hollywood Park and Caneva The Aquapark. The first one is a family-friendly amusement park with entertainment dedicated to cinema, designed to revive the film scenes. Caneva The Aquapark is a water park that offers countless water slides, pools and attractions for all ages. At the same complex you will find the “Medieval Times Restaurant and Show” and “Rock Star” an all-you can eat restaurant with music, video and animation. 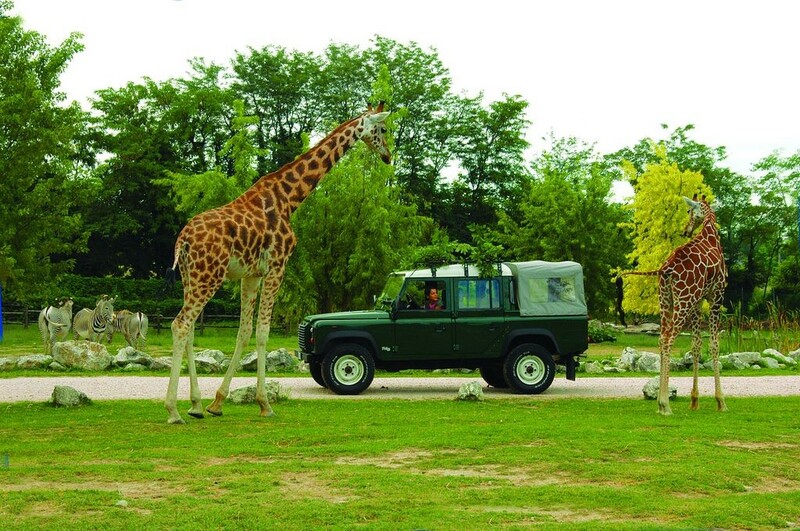 Jungle Adventure Park is an amusement park located in San Zeno di Montagna that offers a kind of entertainment that is not immediately passed by the user but physically experienced. 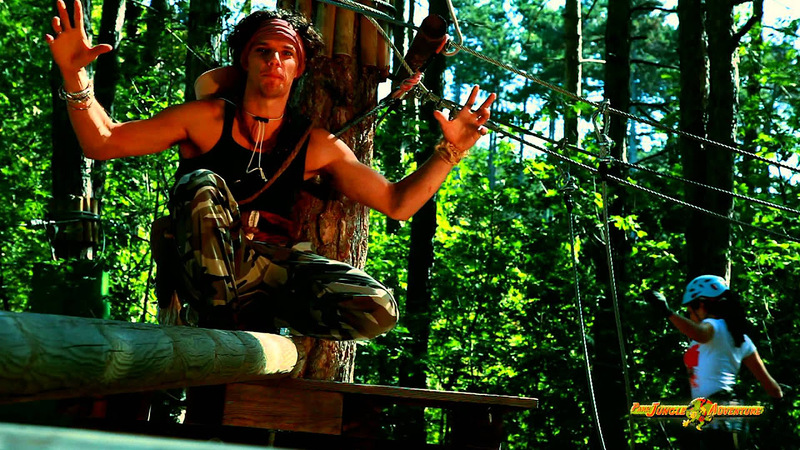 Climbing the trees, getting out in the air hanging on a liana like Tarzan in the jungle is a very special experience that offers so many emotions. All this lived in the open air. There is also a dedicated space for the younger ones. The property offers safety equipment, simulation briefings, aerial games and ground surveillance. There are many ways with a variety of nature to satisfy your children and make them have fun. This is an embarrassment of riches. The Camping delle Rose‘s staff will always be at your disposal to help you spend beautiful vacations. Is unavoidable starting up with Shakespeare, that had chosen Verona as city setting for his exellent opera of love “Romeo e Giulietta”. Charm, beauty and nature to be discovered in this city that should be visited at least once in a lifetime. Let’s start walking through the historic center of Verona. During the walking you con see traces of the past from Roman time until Napoleon, expressed in architectural and artistic operas that can be seen in museums. Going through two big gates you’ll find yourself at Piazza Bra where you can discover important buildings and the symbol of Verona, the roman amphitheater “Arena”. Arena has been builded at the beginning of I sec A.D, today it offers several shows for her visitors and emotions you’ll never forget . In Verona is situated one of the oldest pubblic museums of Europe,Lapidario Maffeiano museum. In it you can see secular inscriptions and reliefs of great value. A few steps away from the center you’ll find Castelvecchio, a magnific medieval building. Inside the castle you’ll admire one of the most important museums of italian art. Further, numerous old buildings like Palazzo della Gran Guardia or Palazzo Barbieri, squares, monuments and statues builded to honour personalities that has contributed in the history of the country are all to be discovered. Shakespeare’s passionated can visit Romeo’s house and Juliet’s house. 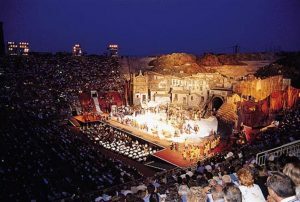 The Roman Theater and the Archaeological Museum, the oldest of the city, can still make you dream thanks to the theatrical summer performances. You can also take a look at the medieval castles builded for defense because of continue invasions and disputed territories happened because of the strategic position of some areas of the province. Thanks to the environmental heritage even nature and sport fit perfectly. Walking through oases, caves and parks, is possible to be regenerated. Here are some of many which you can visit: Regional Nature Park Lessinia, Park of Adige Sud/Nord, Oasis Torricelle e Vajo Galina, Botanic Garden Monte Baldo. Is not to be forgotten the healthy air of Lake Garda and the genuine products of his land that are such a gift for the physical and mental health. The breeze, rich in iodine and minerals acts on the nervous system and leads to a natural relax as it was a medicine. For water sports enthusiasts there’s plenty to do, from diving on the deep and clear waters of Lake, sailing and windsurfing in the wonderful setting of Lake Garda, to the canoe, kayak and rafting on the river Adige. An event not to be missed is definitely the Bisse League “Bandiera del Lago”, symbol of tradition and folklore. All riparian countries are involved because it represents a part of history and tradition. Do you want to fully enjoy the nature and being outdoors? You can get a map from Tourist offices and start cycling. The most adventurous souls who want to discover new itineraries can use the provincial bus line ATV, loading on the bus the own bike. Those who have a passion for golf can live a great experience playing on the lawns of the hills of Garda while enjoying the splendor of the Lake. If you are looking for an adrenaline rush you will have the opportunity to fly high and enjoy the entertainment from the sky with the hang gliding. Veronese Skydiving School will help you to make this dream come true. Another experience not to be missed for the scenery and nature is to make a ride on a horse in the hills of Valpolicella or on the banks of the Adige River. There are several riding schools offering hiking and trekking in the Baldo woods, the Mincio River and morainic hills. Pure fun, from roller coaster to swimming pools, from archeology to the animals, here are some places to visit: Gardaland, Cavour Aquatic Park, Parco Natura Viva, Movieland Park, Pico Verde Aquatic Park, Ancient Terme di Giunone. An attraction for both tourists and residents is the Malcesine-Montebaldo cable car, which offers views of Lake Garda and the surrounding mountains. There are also many sun-kissed beaches which are refreshed by the lake’s waters. 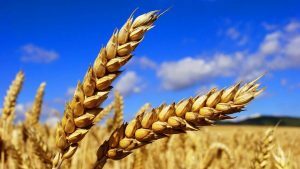 Favorable weather, fertile land, richness of raw materials and the secular devotion of its people to the territory are the secret of the fertility of the lands of the Province of Verona. Recipes that are handed down from generation to generation have led to the creation of beautiful dishes for all tastes. Rich in folklore, handicrafts and typical products Verona gives you the choice. 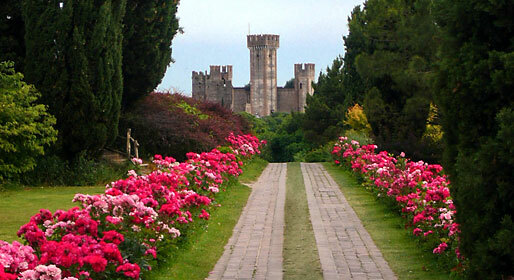 If you stay at Campeggio delle Rose you’ll be at a short distance from this wonderful city. We offer a range of services designed to pledge the best customer satisfaction. In addition to the salt water pool and the wifi, we offer a wide choice of food service or take away food if you prefer to dine in your own room. During the warmer days, our barmans will be happy to refresh you with great cocktails directly on the beach. Do not miss the opportunity to book now one of our Mobile Homes or to book one of our new solutions: the Suite Superior (with lake view) and the Confort! If you want to reach Verona with the utmost comfort you can take advantage of the Crippa NCC transfer service, a convenient car hire service with driver.